In a span of less than 20 hands, Jens Lakemeier single-handedly brought Event #59: $2,500 Big Bet Mix from five players down to one to take down his first World Series of Poker gold bracelet. Lakemeier started the final day as the chip leader but very quickly fell from that pole position. As soon as he regained the lead, though, he put the pedal to the metal and, with his aggressive play, removed each of his final four opponents. Of course, play was slow and steady at first, with no one wanting to be the first to leave. That unfortunate honor went to Kenneth Fitzgerald, who lost a coin flip to Ashton Griffin. 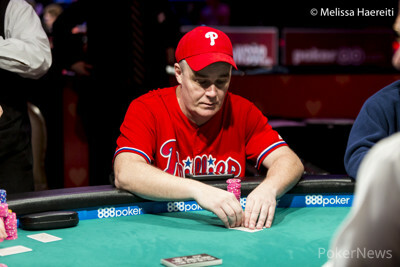 Fitzgerald exited in sixth place, taking home ($16,793) for his finish. Play really slowed down after Fitzgerald’s exit, with the players trading pots back and forth for almost four hours. At one point, Lakemeier fell down to the shortest stack. 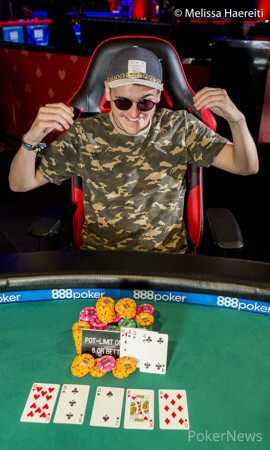 He was able to double without a showdown by taking down several pots in a row, then finally doubled through Jerry Wong in a hand of Big O to take back the chip lead. He used that chip lead aggressively, raising relentlessly and putting immense pressure on his oponnents. It wasn’t until a stunning 5 Card Draw hand that fireworks finally exploded. Ashton Griffin opened with a raise to 55,000 from the cutoff, and Wong shoved from the cutoff. Lakemeier called from the big blind, and Griffin called all in, as well. Lakemeier was only drawing to four outs with one card to come. Griffin had a better two pair than him, but Lakemeier binked his queen to make a full house and eliminate Wong and Griffin in the same hand. Andrew Kelsall fell immediately after when Lakemeier turned a straight in Pot-Limit Omaha to leave Kelsall drawing dead. 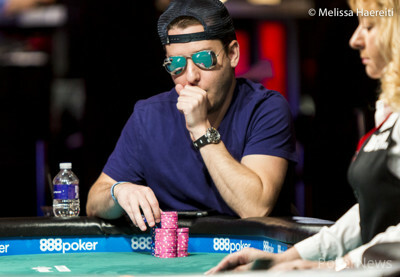 Heads-up play, too, was a quick ordeal, as Jason Stockfish lasted less than 10 hands. Lakemeier had an overwhelming chip lead, and the two got it all in during a Pot-Limit Omaha Hi-Lo hand. Lakemeier held top pair, while Stockfish had middle pair and a straight draw. The turn and the river bricked out, and that earned Lakemeier the victory. Lakemeier has had some success in live tournaments in Europe, but this is his first World Series of Poker bracelet and by far his biggest WSOP cash, as well as his first cash this summer. 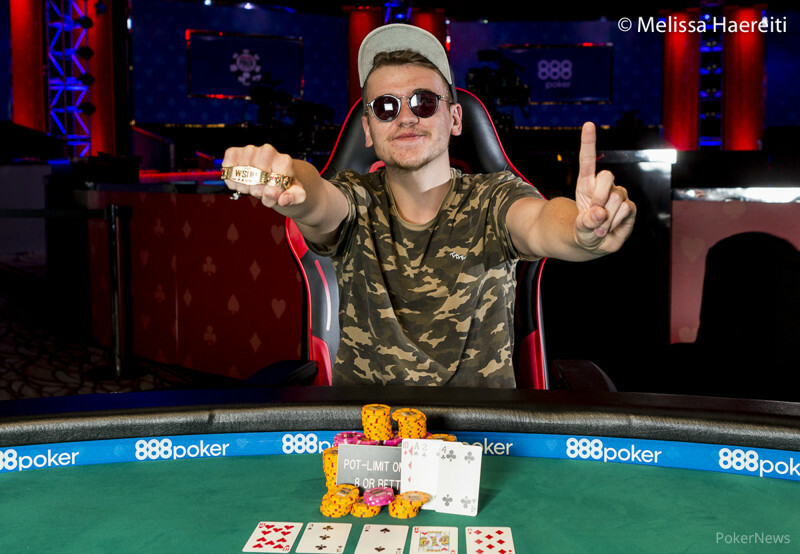 For his win, he locked up his first gold bracelet and the $112,232 first prize. Jason Stockfish raised to 60,000, and Jens Lakemeier called. The flop came , and Lakemeier checked. Stockfish bet 120,000. Lakemeier announced, "Pot," and the pair got their chip stacks in. "I'm good," said Lakemeier, showing . "We need a four," said Stockfish. The turn was the and the river the , and Stockfish was eliminated in second place for $69,359. Players are now seated, and action is back under way. Players are now taking a short break and will return to play at the current level. Jens Lakemeier raised to 60,000 from the small blind, Andrew Kelsall announced, "Pot," and Lakemeier called. The pair got the remaining chips in on the flop, and the cards were turned over. The turn was a , giving Lakemeier the nut straight and leaving Kelsall drawing dead. He was eliminated in third place for $47,239 after a blank hit the river. In a stunning hand, Jens Lakemeier just eliminated both Jerry Wong and Ashton Griffin at the same time. Ashton Griffin opened from the cutoff with a raise to 55,000. Jerry Wong then moved all in from the small blind with a covering stack. 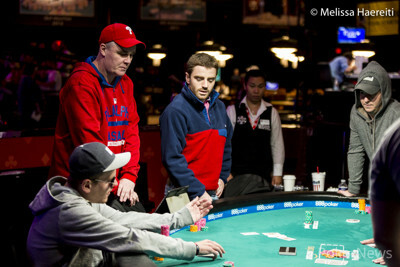 Next to act was Jens Lakemeier, and he called the all-in from the big blind. Ashton Griffin stood up from his chair, motioned his chips into the pot, pulled them back for a second, then plopped them down, calling, as well. Wong took three, Lakemeier took one, and Griffin took one. Griffin turned up for two pair while Lakemeier was drawing thin with . Wong was left drawing practically dead with . He needed to draw three of a kind to improve to a full house, which he did not do; he showed , making him a worse two pair. Griffin turned up his last card, showing the and keeping his hand the same. Lakemeier then sheepishly turned over his last card. It was the making him a full house and scoring him the double knockout. With that hand, Lakemeier moves into the overwhelming chip lead. Griffin takes fifth place with the shortest stack for $23,235, and Wong takes fourth for $32,804. Ashton Griffin raised to 40,000, and Andrew Kelsall called. Kelsall stood pat, and Griffin stood pat behind. Kelsall checked, and Griffin bet 133,000. "Draws two, hands are shaking, stands pat," said Kelsall, "That's not good for me." Eventually Kelsall mucked, and Griffin took down the pot. Jerry Wong limped the small blind, and Jens Lakemeier defended his big blind. The flop came , and both players checked. Wong bet 20,000 on theh turn. and Lakemeier called. The river was the , and Wong bet 25,000. Lakemeier called. Wong showed and won the pot. Third Time Lucky for Jason Stockfish at $2,500 Big Bet Mix Final Table?